What is Self-Employed Workers Compensation Insurance? If you thought you were covered by workers’ compensation insurance but are now being told you aren’t, contact a St. Louis workers’ compensation lawyer. In Missouri, it is a state law that any business who employs more than five employees carry workers’ compensation insurance. For those in the construction business, that number drops to one. If you are self-employed, however, then you are not covered by workers’ compensation, and even if you are employed, there are times when your employment status, like being an independent contractor, will prevent you from being covered by your employer. If you are self-employed and you don’t work for someone with workers’ compensation insurance, although you aren’t required to carry your own insurance, it might behoove you to consider it. It is possible for independent contractors and those who are self-employed to take out their own workers’ compensation coverage in case of the event that something unexpected happens while they are working. What is the difference between self-employment insurance and employee insurance? Generally speaking, if you fill out a W-2 form for your taxes, then you are the employee of whoever you work for. 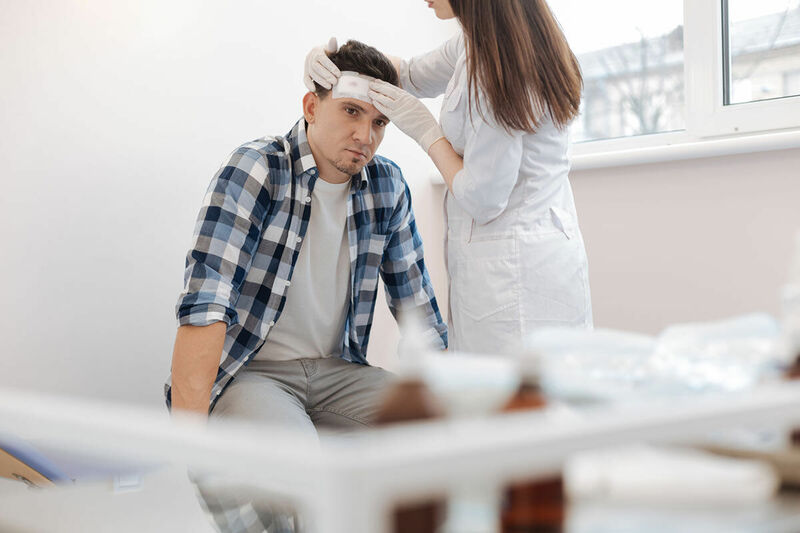 If your employer has more than five individuals working for them, then they are required to carry insurance to cover any injury sustained by their employees while their employees are at work. The trade-off to collecting workers’ compensation is that you aren’t allowed to sue your employer if you are hurt while working. Also, although workers’ compensation benefits are not guided by the doctrine of negligence, meaning that you can be solely responsible for your injuries and still receive benefits, you do have to be engaged in work-related activities when you are hurt to collect benefits from workers’ compensation. If you are someone who doesn’t file a W-2, but file as a freelancer or independent contractor and file a 1099, then you are probably not covered by your employer. Even if you work steadily with an employer, if you file a 1099, your employer is probably not required to have to have workers’ compensation cover your injuries if you are hurt while working. Self-employment insurance is the type of coverage that you might want to consider if you aren’t an employee of a company or covered by workers’ compensation insurance. If you are hurt while working, then your injuries might be your own problem and your own financial burden if you don’t insure yourself. What if you didn’t have self-insurance or workers’ compensation insurance? If you are injured while working and you don’t have insurance, the only way that you can recover the costs of your injuries is if you can prove that your employer did something negligent and that their actions are directly to blame for your injuries. If you can prove that your employer was at fault, then you can initiate a personal injury suit. Unfortunately, if you can’t prove that your employer did anything that led to your injury, then you will likely have no recourse. Do you have questions your work accident claim? If you thought you were covered by workers’ compensation insurance but are now being told you aren’t, then it is critical to hire a St. Louis workers’ compensation lawyer to help see what, if anything, you are entitled to. At the Law Office of James M. Hoffmann, our attorneys will work with you, regardless of where you are in the process. Attorney James M. Hoffmann has spent a majority of his more than 20 year legal career dedicated to protecting the rights of injured workers. Call us today at (314) 361-4300 or fill out our online case evaluation form to request a free consultation.